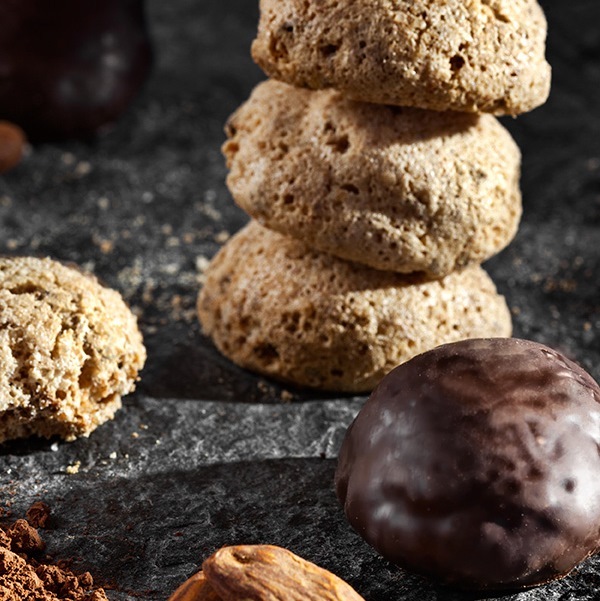 Amaretti are light, crunchy biscuits flavoured with bitter almonds that are typical of the Piedmont region, but popular throughout Italy. 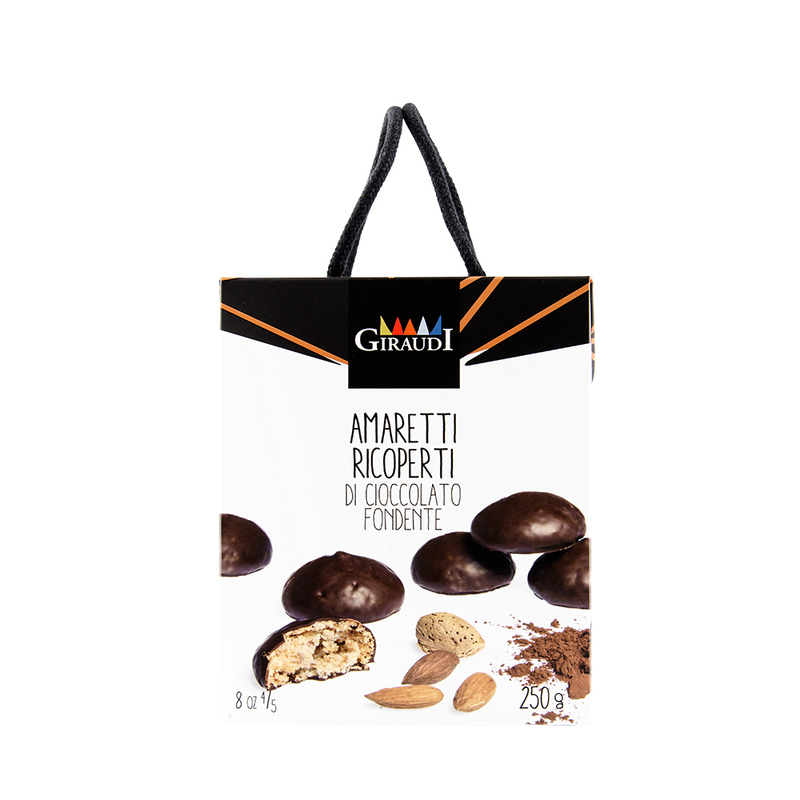 Giraudi take excellent quality, authentic amaretti and coat them in a fine layer of dark chocolate. Superb!